A château is what the French call their bigger country houses – they’re not quite castles, but they’re not normal houses either. 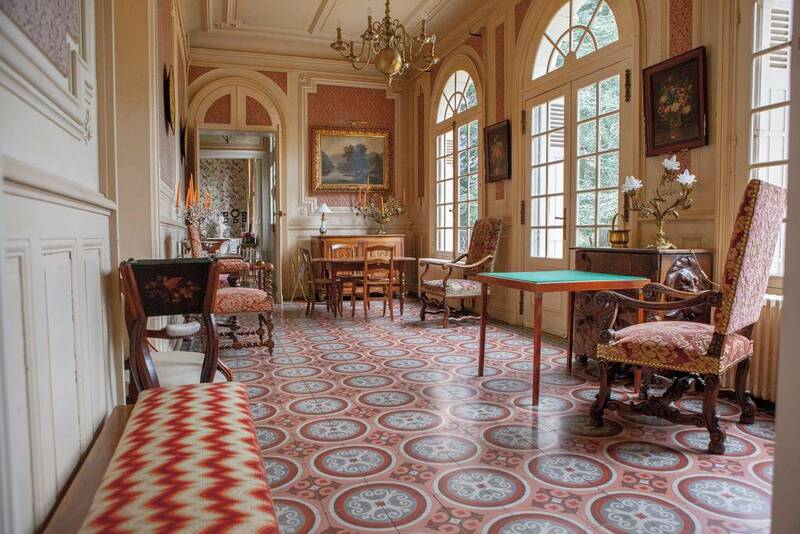 They’re the middle child of fancy French architecture, and they’re lovely. 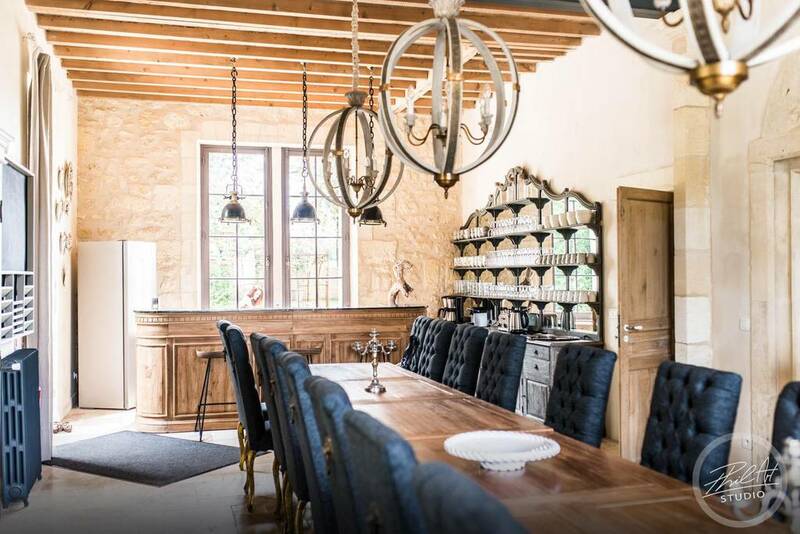 If you’re looking to make your trip to France as fancy and as quintessentially French as possible, it’s probably worth staying at one of these Airbnb châteaux, right? 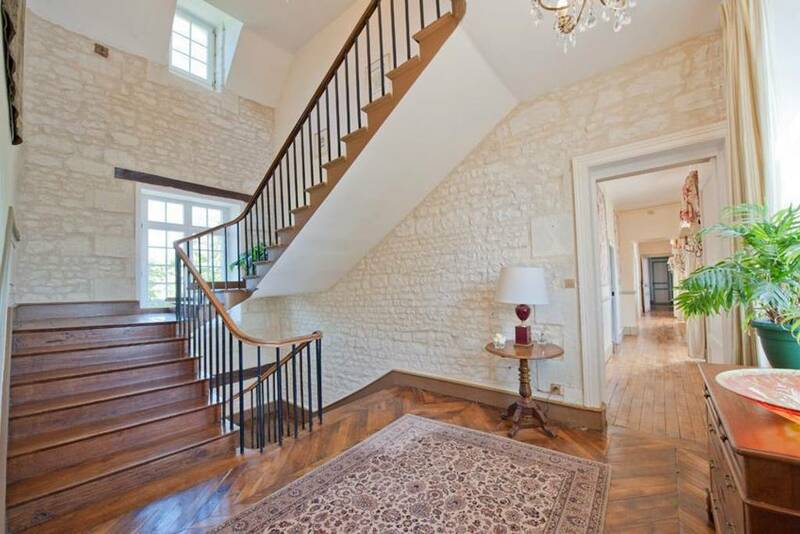 Looking at this six-bedroom, six-bath chateau, it’s kind of amazing to think that guests have been enjoying this property snice the 18th century (just for a little context, that’s the era of the French revolution). 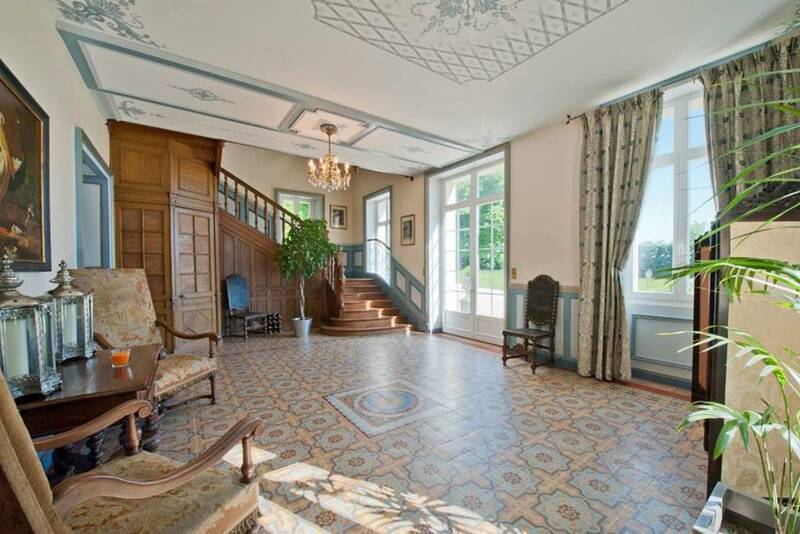 With a beautiful pool and parterre garden, this Aquataine-region castle has just been renovated to great effect. 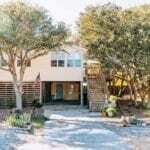 It’s loaded with amenities like air conditioning, wifi, an indoor fireplace, hot tub, washer/dryer, pool, and television. 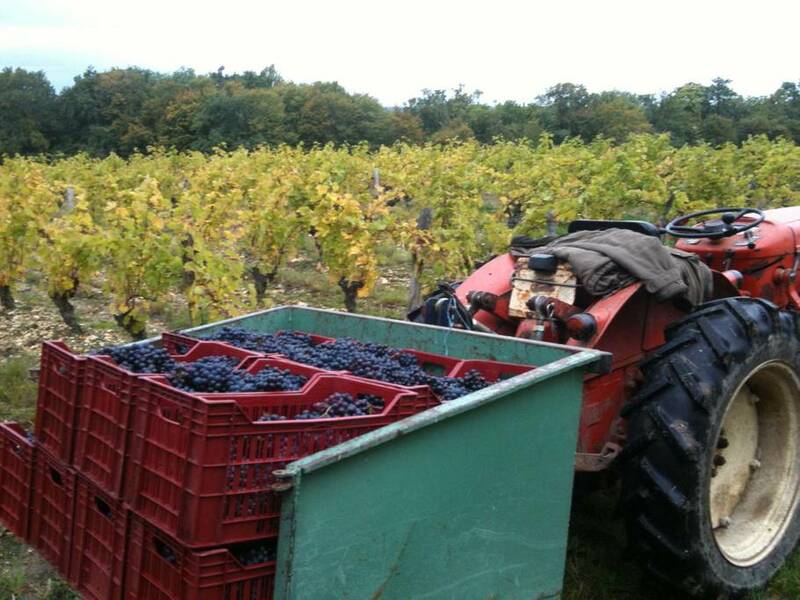 Located just outside Bordeaux, this is the prefect place for a wine lover. 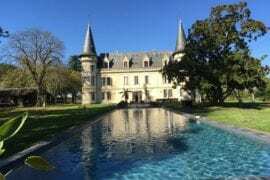 Saint-Emilion, a UNESCO World Heritage Site, is just a few miles away and the perfect place for a wine tasting tour (Chateau Villemaurine offers a particularly good one!). 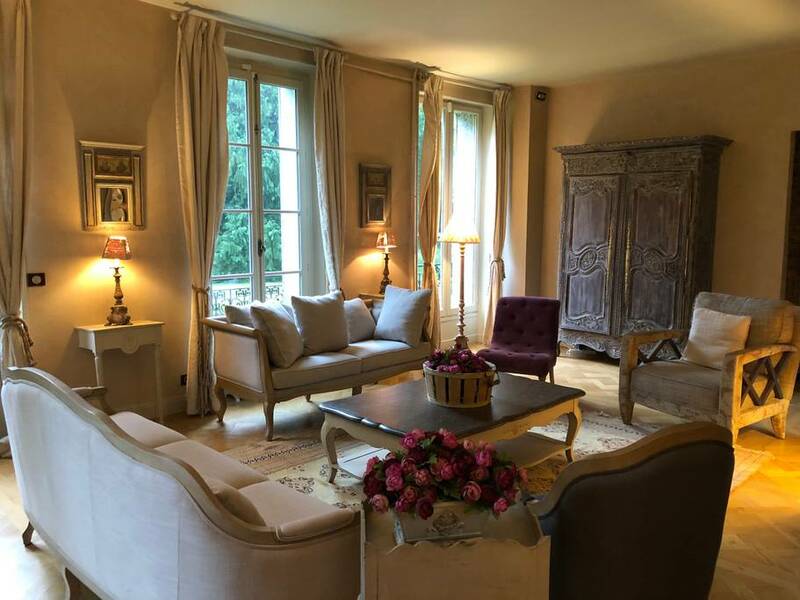 Stone walls, canopied beds, old wooden cabinets, wooden floors, antiques armoires, this place has every hallmark of a traditional French chateau. 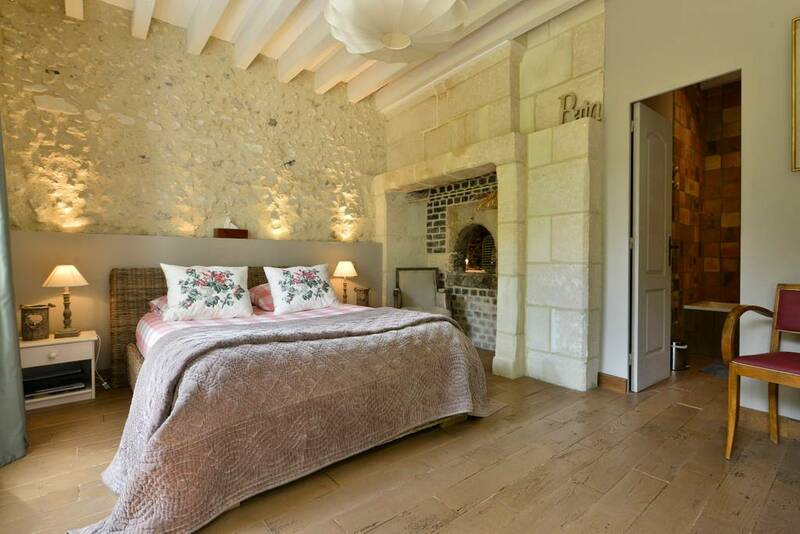 With nine bedrooms and six bathrooms, this place sleeps up to 20, making it a perfect place for a big birthday celebration (parties are allowed here!) 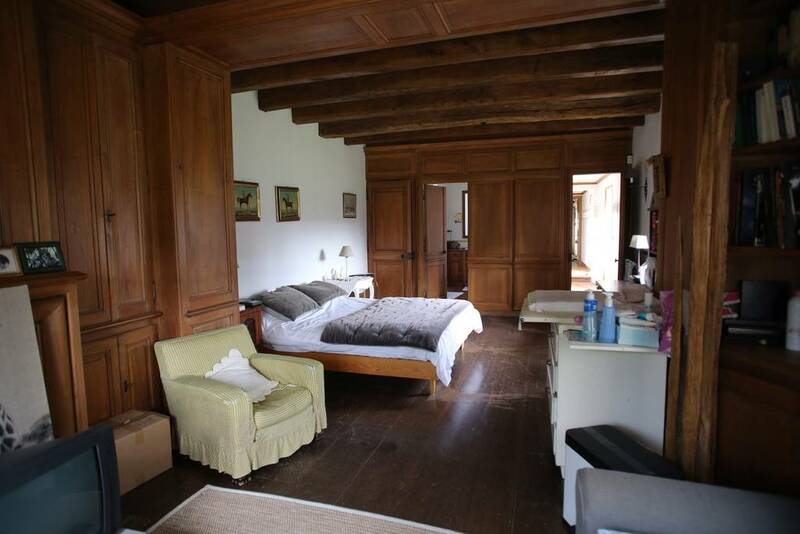 or even a family reunion (especially because most of the bedrooms have private bathrooms!). 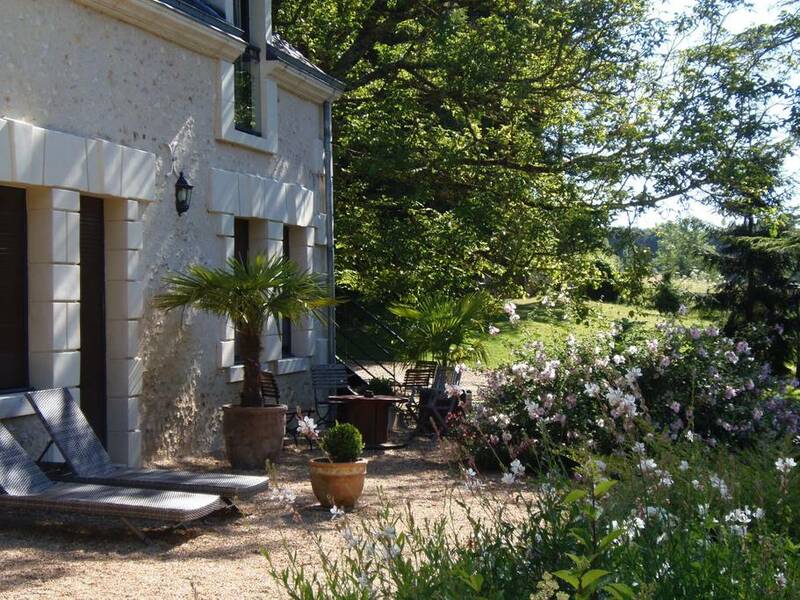 You can even bring your pet to this extraordinary French Airbnb! 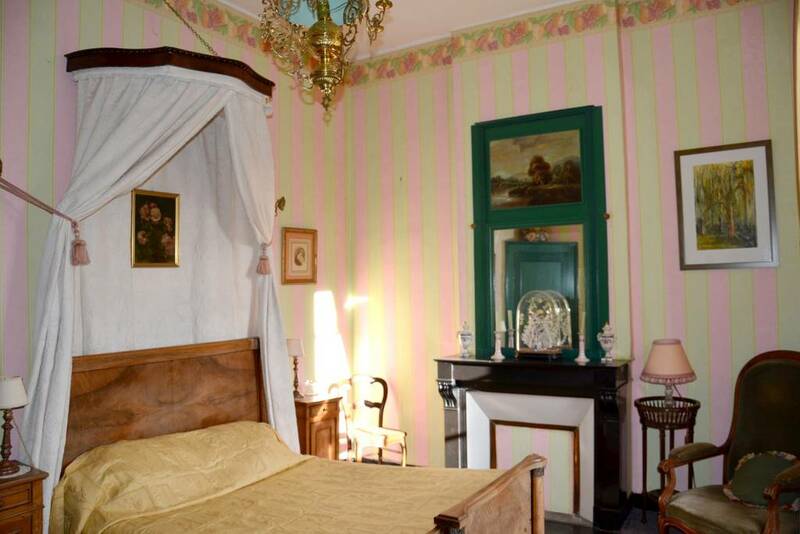 Even the towels and bed linen are included which is great since that’s not always a given. There’s also a large outdoor patio area with a pergola, garden, dining area, ping pong table, and even an enormous pool. If you like to golf, the Val Saint Jean golf course is less than ten miles away and the area is known for outdoor activities like fishing, hiking, swimming, and even cave exploration. At $791 a night, this is a real bargain if you get together with friends! 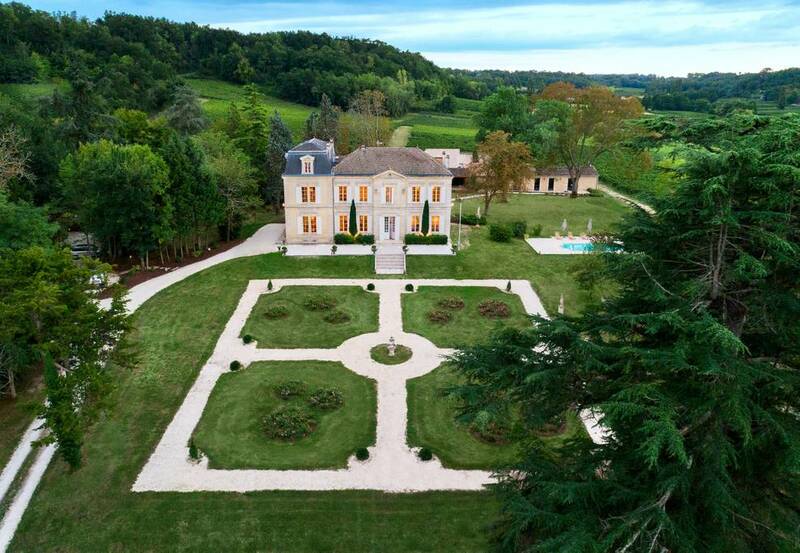 Not every French chateau looks like a fairytale castle. 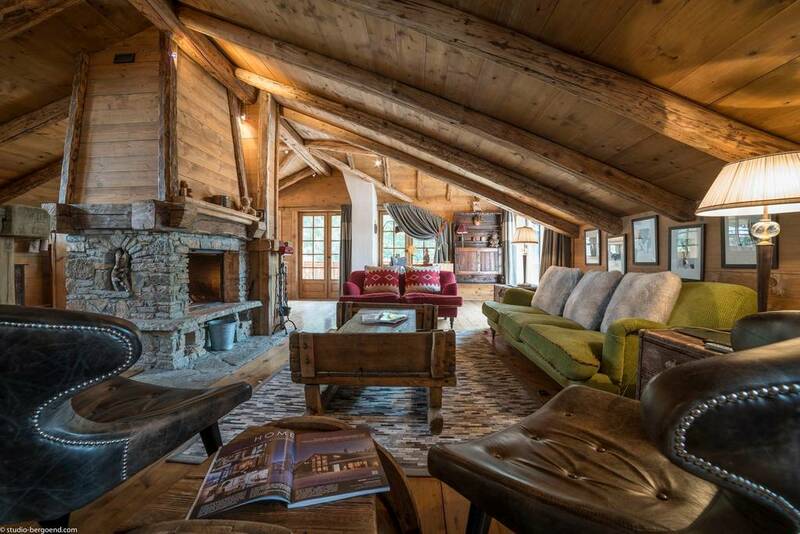 Dating from 1850, this adorable French ski chalet Airbnb is so perfect looking it looks almost fake. 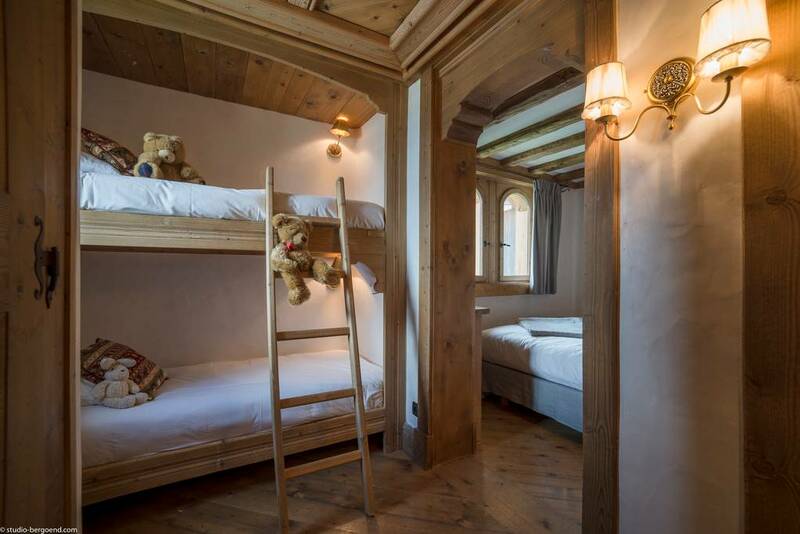 While there is much to fall in love with here, we have to start with those adorable bunk beds. Can you imagine how comfy those must be when it’s cold and snowy out? 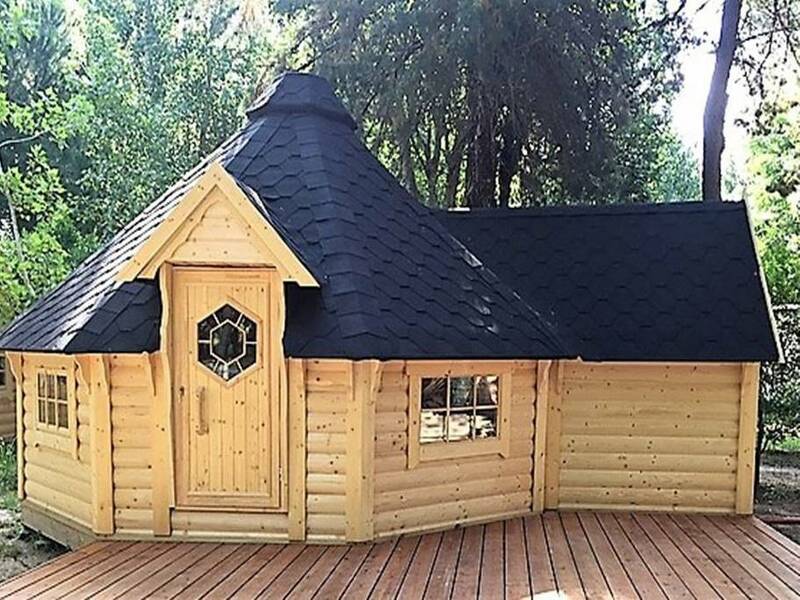 Or how much fun it would be to curl up with a book in front of that fire in the attic space? And then there’s the hot tub. How fabulous would it be to soak in that as you watch TV? 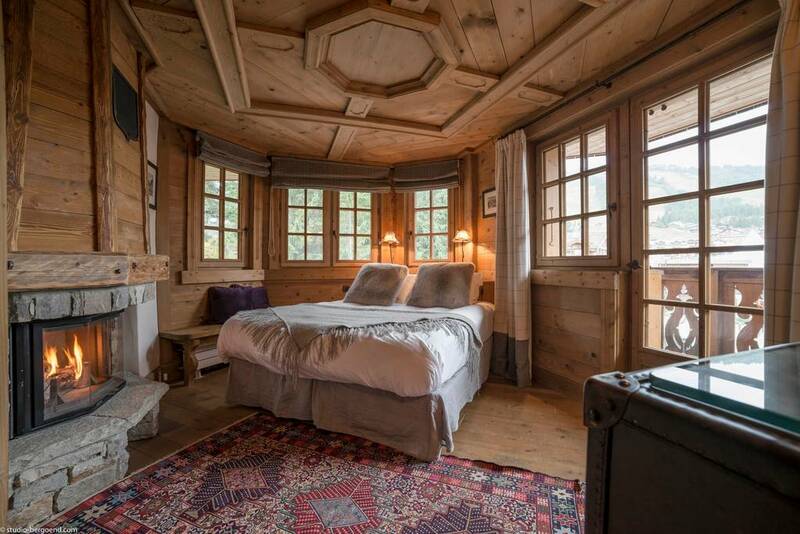 Located in Courchevel, not far from Switzerland, this three-bedroom, three bath house sleeps eight and even offers a couple of free logs for the fire. 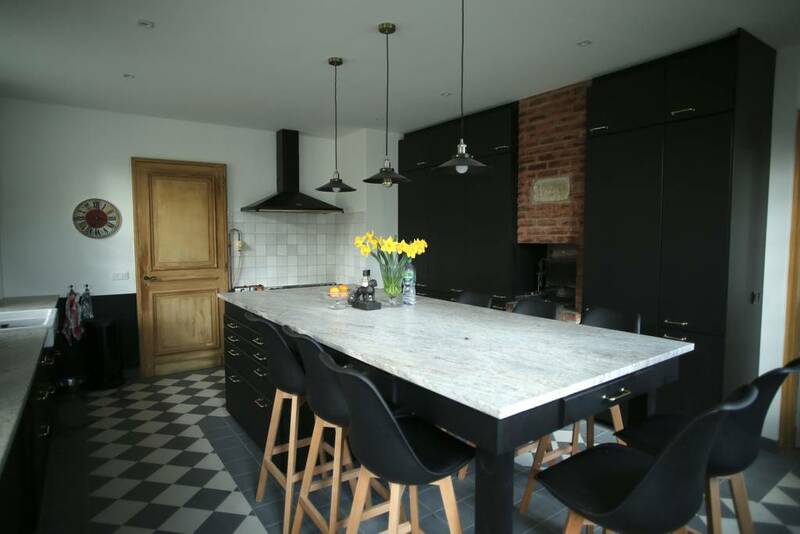 The fully equipped kitchen offers a dishwasher, ceramic cooker, and a coffee machine. 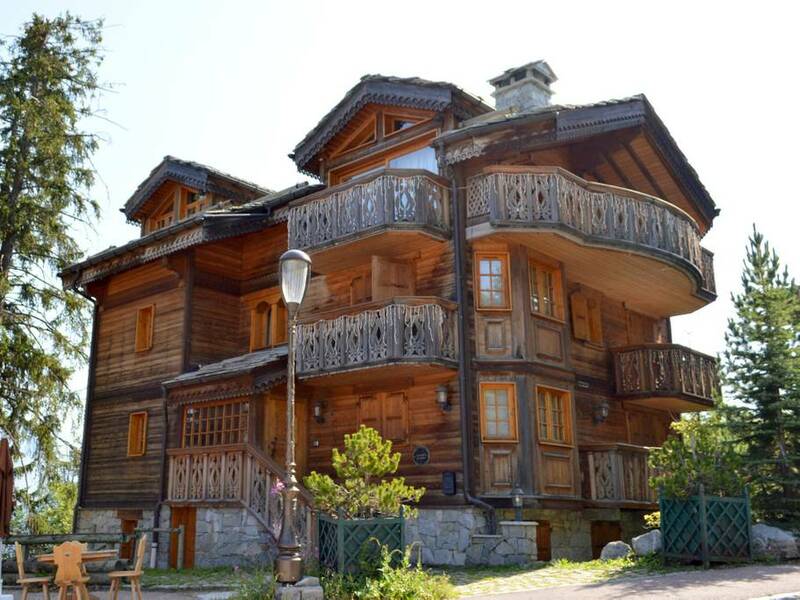 Although we realize that ski season is a while away, as this is a highly unusual property, we recommend booking as soon as possible. Just an hour south west of Paris, this eight-bedroom, eight-bath stunner is the grande dame on our list and it’s easy to see why. 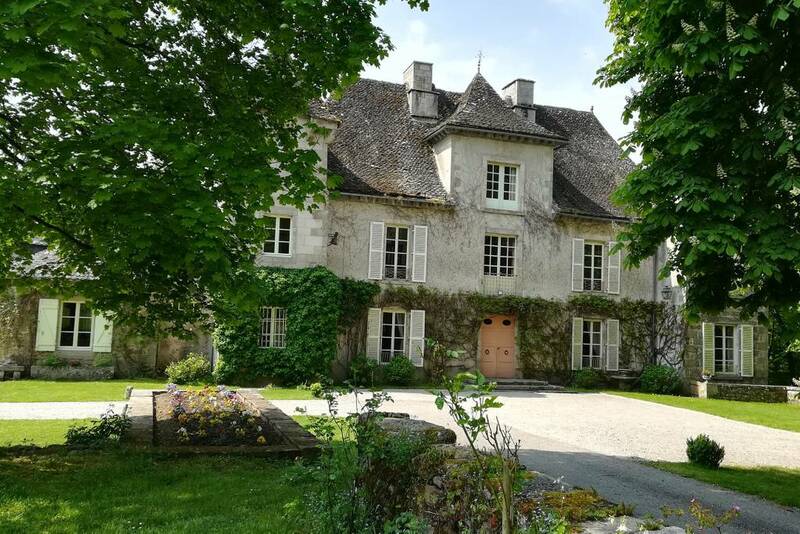 A true French chateau if ever there were one, this Airbnb is so expansive you could literally hold a wedding here (just make sure you ask before you book). 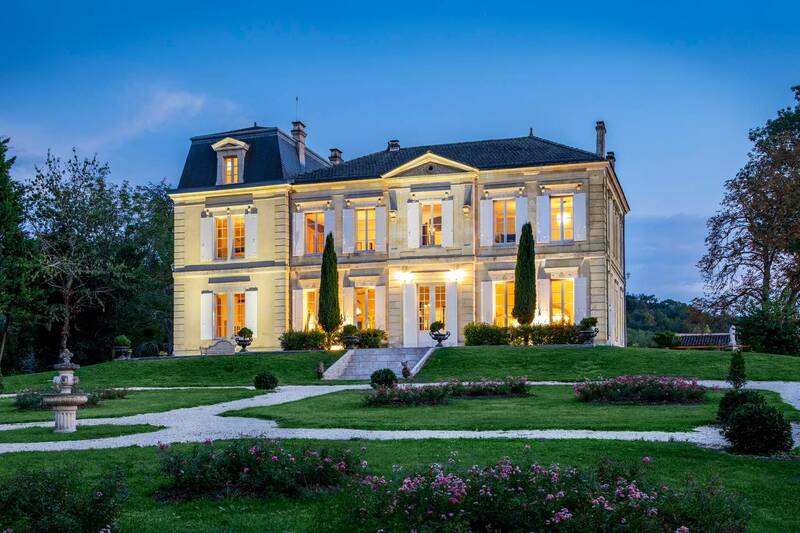 With a grand salon that looks worthy of Louis IVX (or XV or XVI), a kitchen worthy of Escoffier, a garden worthy of Le Nôtre, and a pool worthy of uh, Michael Phelps, this French mansion does everything in a big way. 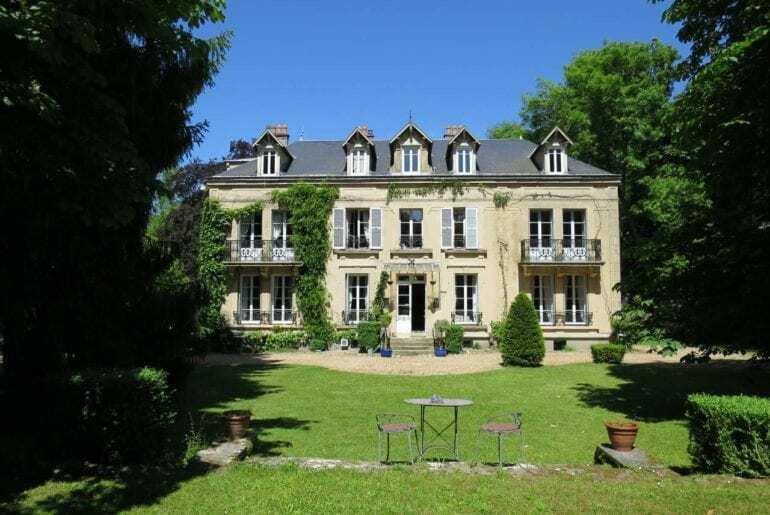 Chateau Milly as this mansion is called, is one of the most picturesque Airbnb homes you could ever choose. Just be sure you’re ready for your close up! 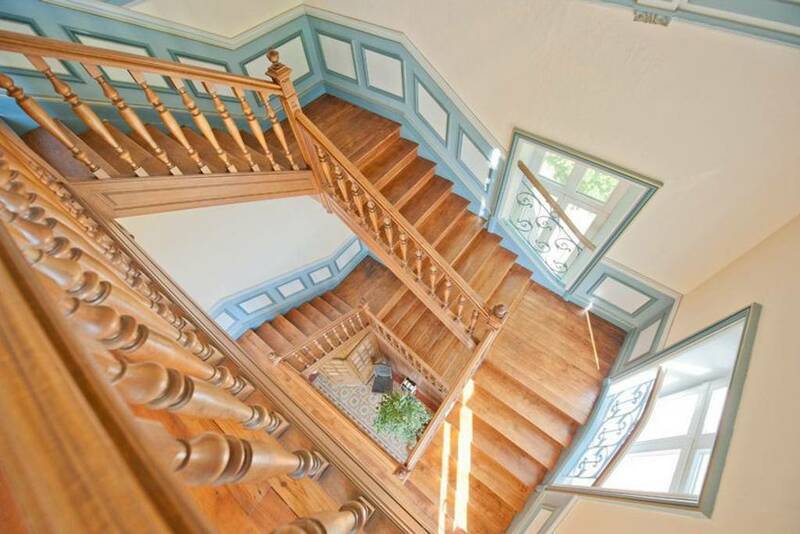 Another wonderful mix of old and modern, this eight-bedroom, four-bath chateau also has an available cottage for rent as well as a small cabin, offering six more available sleeping spaces. 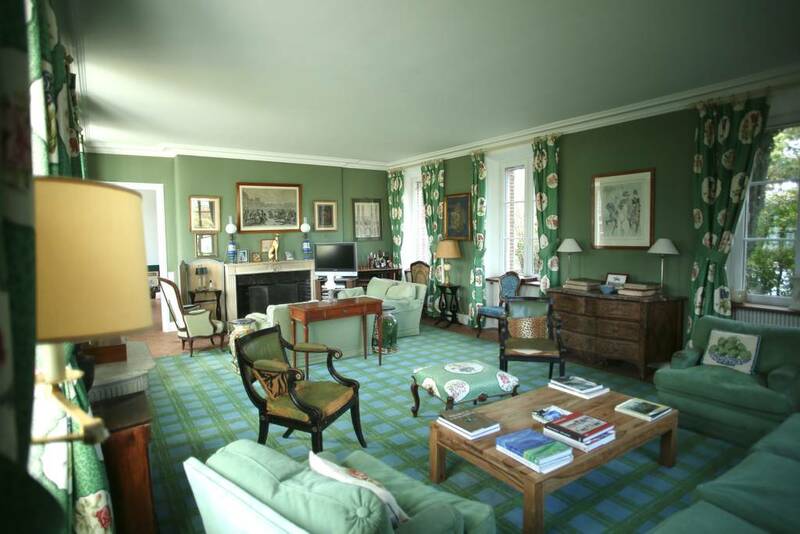 Situated on 12 acres, this is true estate living and while weddings aren’t allowed, business meetings are so if you’re looking for a spot for a corporate event, this is a great place, especially since there’s even a dedicated meeting space. That said, this is very much a home with books and magazines and little nick-knacks everywhere so be prepared to feel as if you’re in a real home. While the kitchen is sleekly modern and most of the décor is traditional, see if you can spot some quirky touches like the funky, jungle-themed wallpaper and bird chandelier. 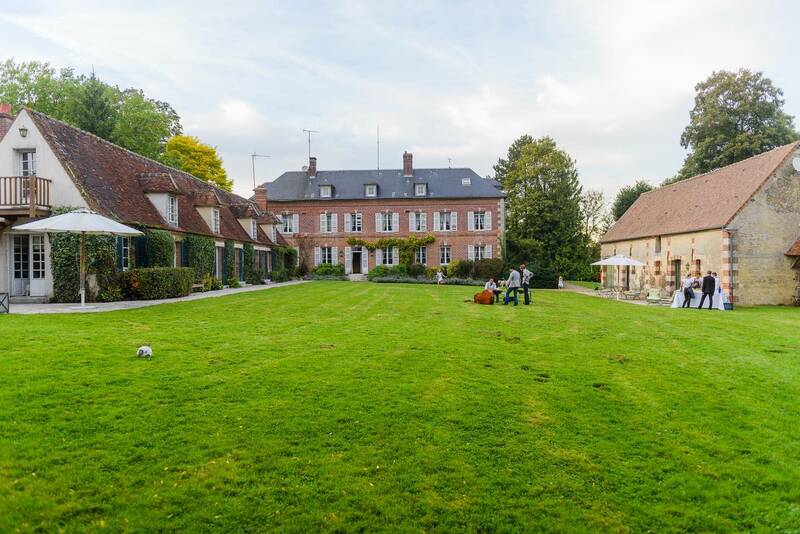 Located in a commune called Silly-Tillard, this estate is located near the Parc Astérix theme park so if you’re coming with kids (or just want a silly day out for your team), be sure to save a day to spend here! 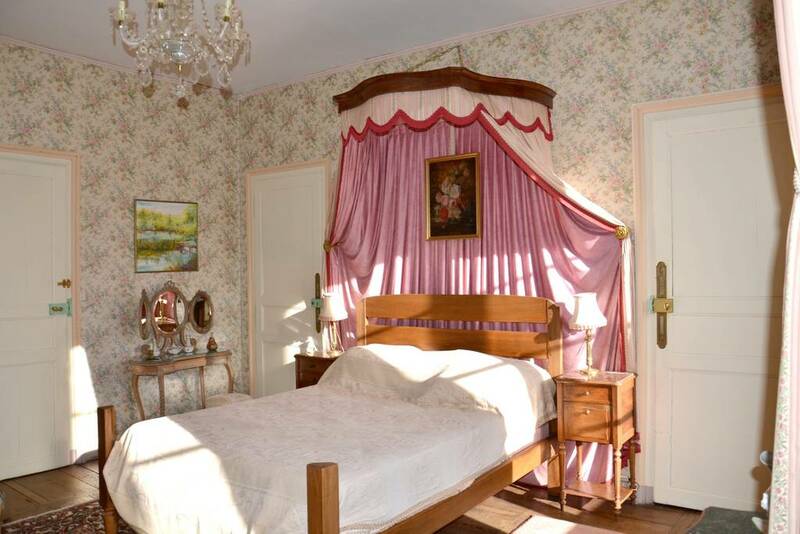 Just outside Paris, this ten-bedroom, 23-bed Airbnb is truly the best of all possible worlds. Decorated by world-renown decorator David Hare, this 1825 home is a master class in elevated taste, creativity, and French design. 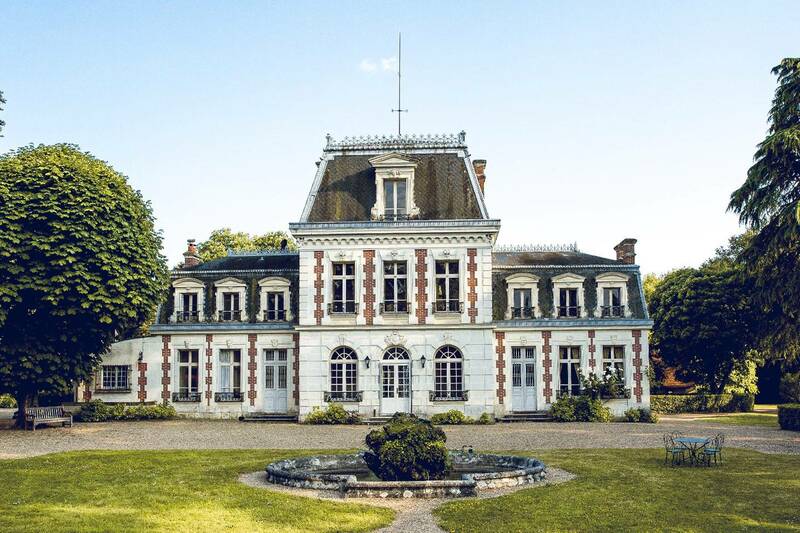 Just outside Paris, this mansion is located on a three-acre park with century-old trees all around so you can battle the crowds during the day and then come home to peace and quiet at night. The dining room even seats up to 20 people so no one has to share a chair. 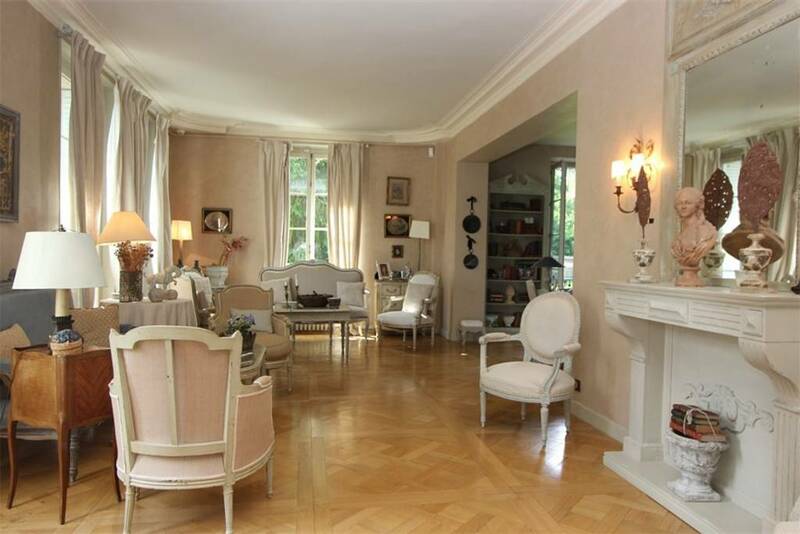 And if you’re a tennis fan and you’re planning on coming in for the French Open, this place is very close to Roland Garros Stadium but book soon as this place is a real bargain at just $829 a night. 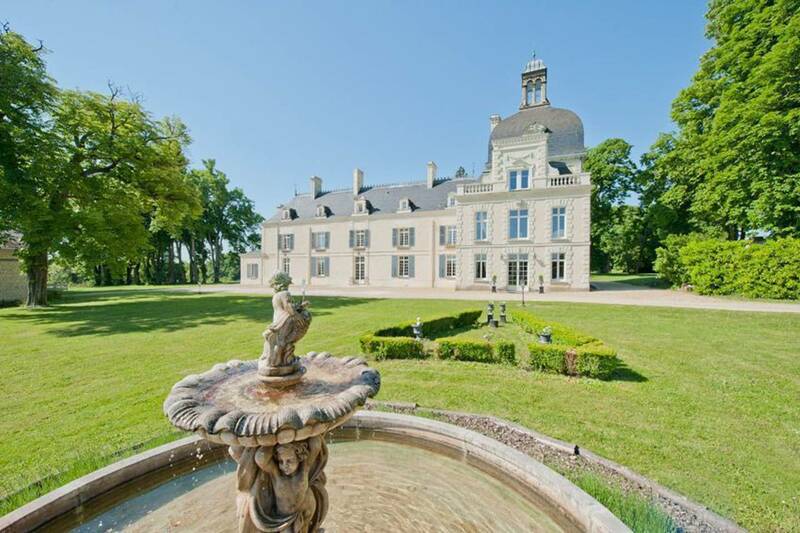 Like a poster for French tourism, this seven-bedroom, five-bath chateau in the famed Loire valley looks so perfect it’s hard to believe it’s real. 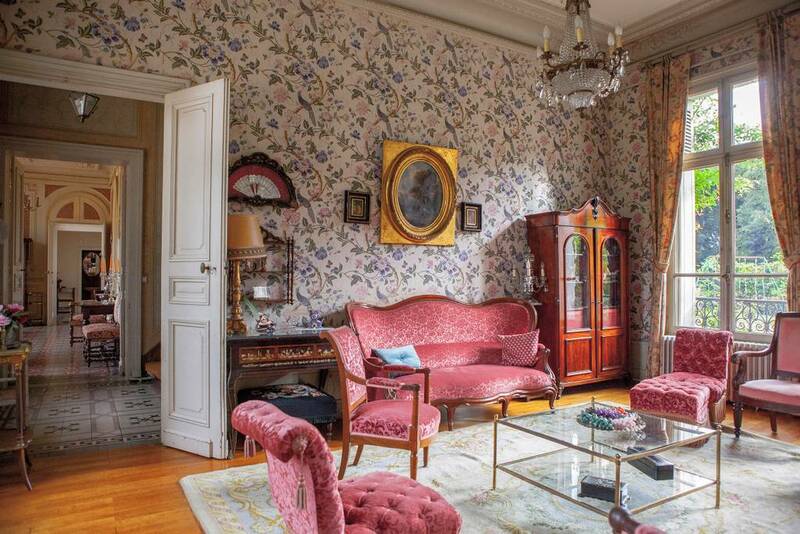 With perfectly decorated rooms, stunning art work, and a ton of French antiques, you’ll feel as if you’re in a French auction catalog. With a dining room that sits up to 20, a huge pool, an adorable garden folly where you can be alone with your thoughts, and plenty of room to walk around, you’ll never be at a loss for space nor will you be at a loss for something to do as there are tons of wineries for wine tasting, chateaux to tour, and more than enough Michelin-starred restaurants at which to dine. 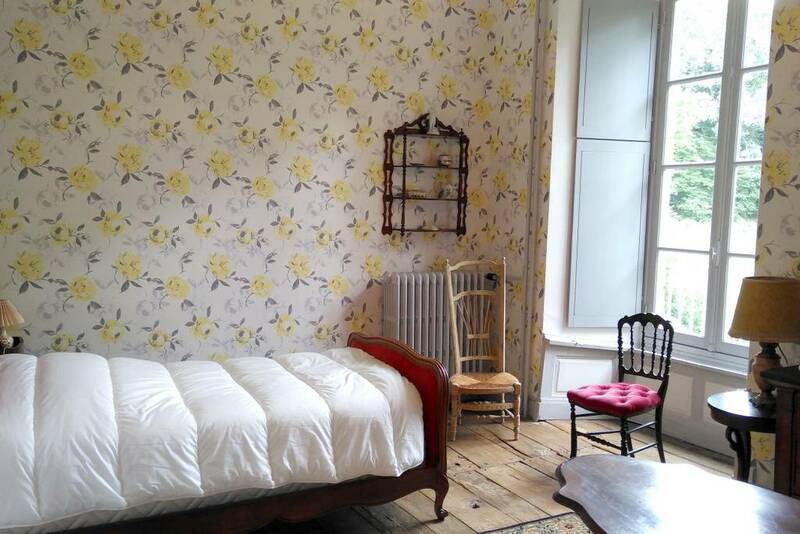 Just make sure to book early, though, this place is highly desirable and rents out quickly! 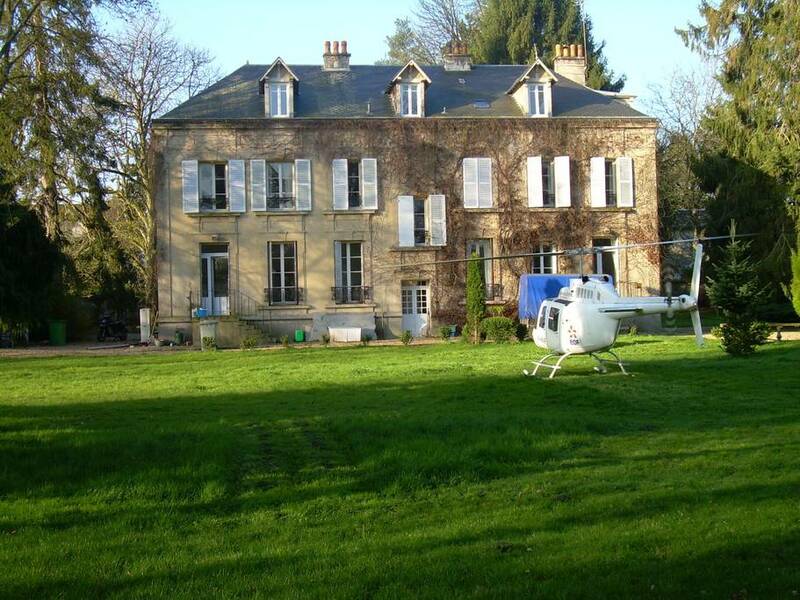 Racing fans, take note: This place is just over an hour’s drive to the city of Le Mans so if you’re coming here for the big race, you’ll want to book early! While the main house is a total showstopper, it’s the property’s one-bedroom cottage that really makes you want to pack your bags and fly here. 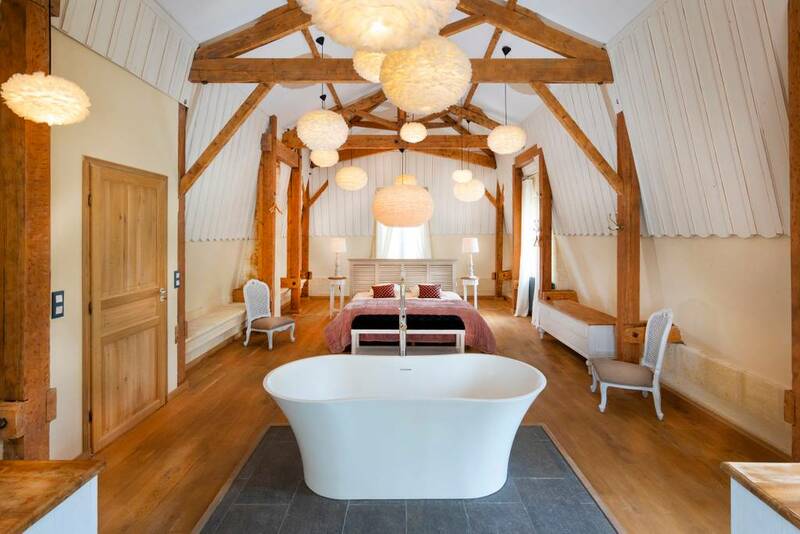 Complete with a sauna, jacuzzi, a potager garden, trampoline, ping-pong table, pétanque court, flower garden, hammocks, a nearby lake for swimming, tons of play equipment and menagerie of animals, there is so much to do here and more than enough to keep kids busy if you’re bringing any. This place certainly set our hearts racing!